What: The perfect thing to protect your hair against the onset of frizz and boost shine. With silk proteins and algae extract, this frizzy hair serum provides heat protection and smooths follicles for more manageable and lustrous results. It’s expertly formulated for medium-thick and wavy-curly hair types, but is suitable for all levels of frizz. One Drop, Frizz Stops. 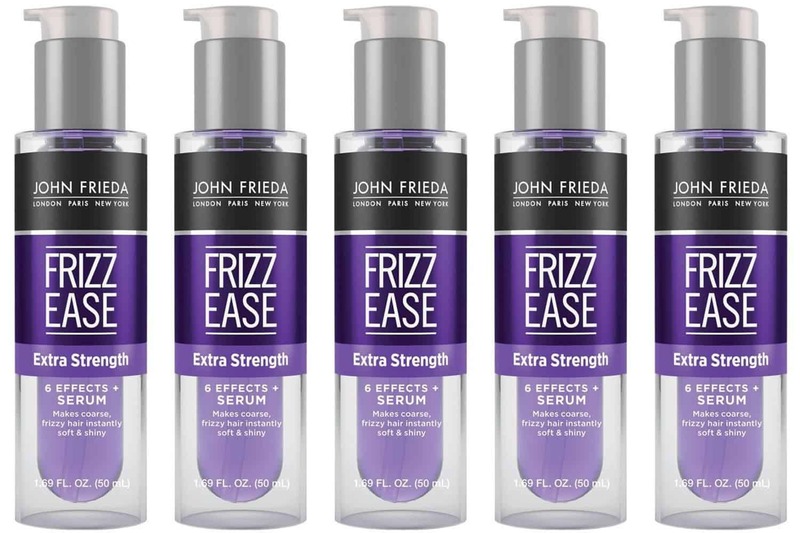 Our Frizz Ease Extra Strength Serum will leave your hair endlessly smooth. Who: The John Frieda brand started with the opening of a salon on New Cavendish Street, London, over three decades ago. Today, the vision of the brand reflects that salon heritage: delivering products that target specific style problems and transform them. For salon-caliber results you can see and feel. Why: There’s still plenty of summer (and summer humidity) left to wreak havoc on your hair before the official onset of fall. Just remember, when it comes to this particular product, less is more! Dispense a dime-size amount into your palm, then rub your hands together and apply to soaking wet hair, making sure to avoid your roots. I repeat, avoid your roots! When applied sparingly and properly, this is truly a wonder serum. Where: Pretty much everywhere haircare products are sold, but specifically at Ulta, Target, and, of course, Amazon. How (much): Only about $10. A steal, for sure!